A 23-year-old university student who drove part-time for Uber and got into an accident that resulted in the death of his passenger was sentenced to four weeks in jail and banned from driving for five years. The fatal accident occurred on July 9, 2017, on the slip road into East Coast Parkway, towards Marina Coastal Expressway, when the Toyota Vios skidded and crashed into a tree. The 31-year-old male passenger, a Filipino expatriate who was working in Singapore, reportedly suffered a fractured skull. He was found lying motionless and pronounced dead at the scene by paramedics. He pleaded guilty on Monday (Sep 10). 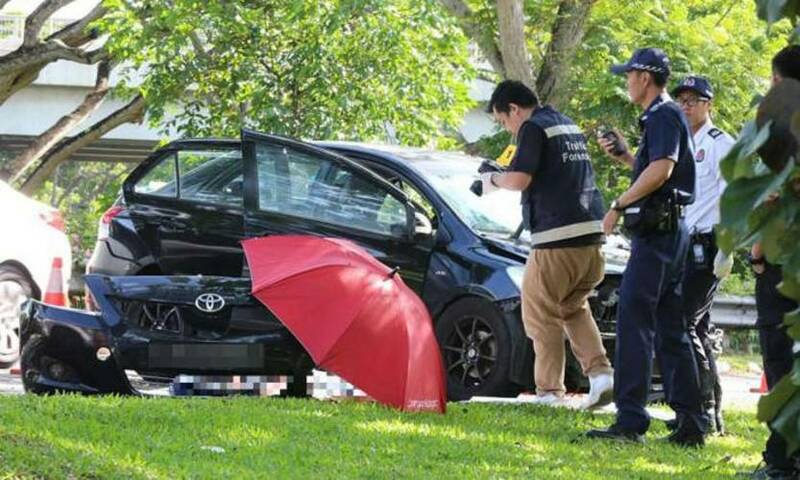 According to Shin Min Daily News, the mechanical engineering student at Nanyang Technological University (NTU) was a part-time Uber driver. He had gone home after Eid al-Fitr celebrations at around 8pm on the night of the incident, then started driving at about 10pm. At around midnight, he went to a coffee shop in Tampines to meet his friends, before hitting the road again at about 2.30am. He completed a total of 10 trips that night. At 7.30am, he picked up the deceased at Changi Business Park and was headed to Chapel Road in Marine Parade. However, upon approaching the slip road, the accused failed to slow down when making a left turn and lost control of his car, resulting in him crashing into a tree. The impact was so great that a big chunk of wood was dislodged from the tree. In addition, the road was slippery due to wet weather at that time. The deceased, who was in the back seat, had not been wearing a seat belt when the incident occurred, reported Shin Min. During the court hearing, the prosecution pointed out that the accused had driven for five hours consecutively and did not stop even when tired. He also appeared to have been travelling at high speed, based on the degree of damage on the car and what was observed at the accident site. However, the defendant's lawyer said that being tired did not mean that he was sleepy or nodding off, emphasising that there was a difference between the two. The judge said that it did not matter whether the accused was tired or sleepy, as the accident did happen and had resulted in visible damage. Citing that the accused was remorseful and had already learnt his lesson, as well as apologised to the victim's family, his lawyer pleaded for leniency. As the accused is still doing his internship, he will begin serving his jail term on December 3. He is currently out on a $10,000 bail.